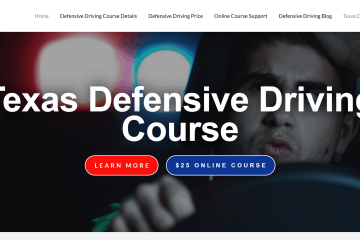 Funnybone Defensive Driving – Ratings and ReviewGoogleFacebookYelpRating from Our Readers:0 Votes0Open Road (Pros)The instructor, Arizona, made the course more entertaining.Traffic Jam (Cons)Expedited delivery required to get your certificate within a reasonable time. 3.3out of 5 cars! 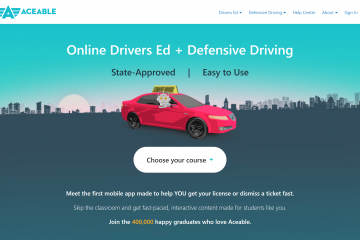 D&E Driving School – Ratings & ReviewGoogleYellowPages.comRating from Our Readers:0 Votes0Open Road (Pros)Affordable rates when compared to other local driving schools.Traffic Jam (Cons)Drive times are often rescheduled. 2.6out of 5 cars! Carroll Watkins Driving School – Ratings & ReviewGoogleFacebookYelpRating from Our Readers:0 Votes0Open Road (Pros)Friendly staff and instructors.Traffic Jam (Cons)Many people have difficulty scheduling drive time. 2.8out of 5 cars! Brentwood Driver Training – Ratings & ReviewGoogleFacebookYelpRating from Our Readers:0 Votes0Open Road (Pros)Top rated driving school in Brentwood.Traffic Jam (Cons)Popularity often causes full schedules. 4.1out of 5 cars! All Star Driving Schools – Ratings and ReviewGoogleFacebookYelpRating from Our Readers:0 Votes0Open Road (Pros)Convenient for taking a road test if the DPS is out of appointments.Traffic Jam (Cons)Most poor reviews on Google for this school mention issues with how the instructors and staff treat student drivers and customers. 2.6out of 5 cars! 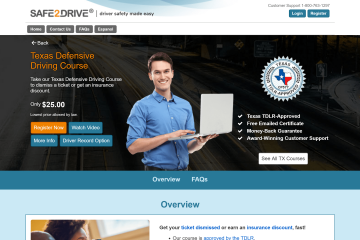 All American Driving School – Ratings and ReviewGoogleFacebookYelpRating from Our Readers:0 Votes0Open Road (Pros)Easy to get your permit certificate for adult driver ed.Traffic Jam (Cons)Several reviews online state that they experienced issues with the school being closed during normal business hours. 2.2out of 5 cars! 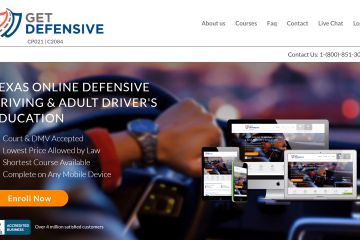 3DDefensiveDriving.com – Ratings & ReviewGoogleYellowPages.comRating from Our Readers:0 Votes0Open Road (Pros)The course does a good job including comedy with a topic that is typically boring.Traffic Jam (Cons)Their website provides an overall poor user experience. 3.8out of 5 cars! 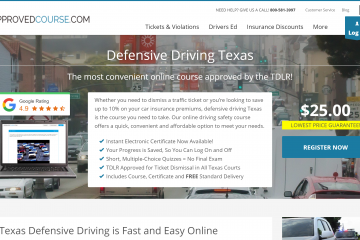 One of the first online providers of Texas defensive driving, A Sense of Humor has a fresh new look that makes their course one worth considering. 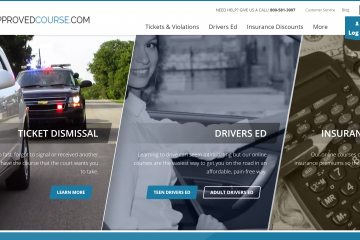 Safe2Drive.com – Ratings and ReviewYahooFacebookYelpRating from Our Readers:0 Votes0Open Road (Pros)Customer service is quick to respond.Traffic Jam (Cons)Many reports of typos and grammatical errors in their courses. 4.7out of 5 cars! 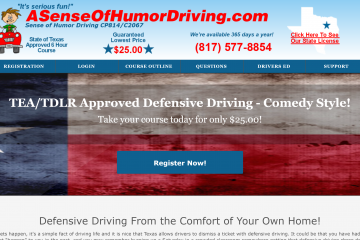 Comedy Guys Defensive Driving – Ratings & ReviewGoogleFacebookYelpRating from Our Readers:0 Votes0Open Road (Pros)Most people that left reviews online state that they had a great experience with the course. 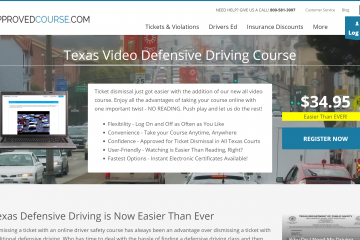 Those reviews include classroom and online defensive driving courses.Traffic Jam (Cons)The few negative reviews we found online were specific to an instructor or issues receiving their certificate. 4.2out of 5 cars!